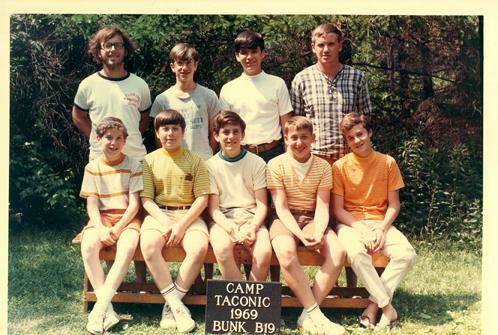 From 8 through 13, I went to Camp Taconic. Many former campers cite this experience as one of the best in their lives. There were certainly the facilities to make it so. But despite all the water-skiing and lit tennis courts, I was miserable each well-planned summer. When I was 12, through a series of complicated and uninteresting events, two bunk mates of mine repeatedly asked me to move my bed so they could sleep near each other in the back of our cabin. The fact that they were excluding me, bullying me, choosing other girls over me was understood. What I failed to understand was how important it was for them to sleep near each other. But so what, right? That was a Bat Mitzvah ago. And indeed, my life has improved since I was 12. Take yesterday: a dozen friends and I went to Spa Castle in College Point, Queens. And afterward, we all had a delicious meal at a renowned Thai place in Woodside. But despite the pleasantness of my life, last night this entire summer camp incident came up in dream form. There’s no escape from self.